Mrs. 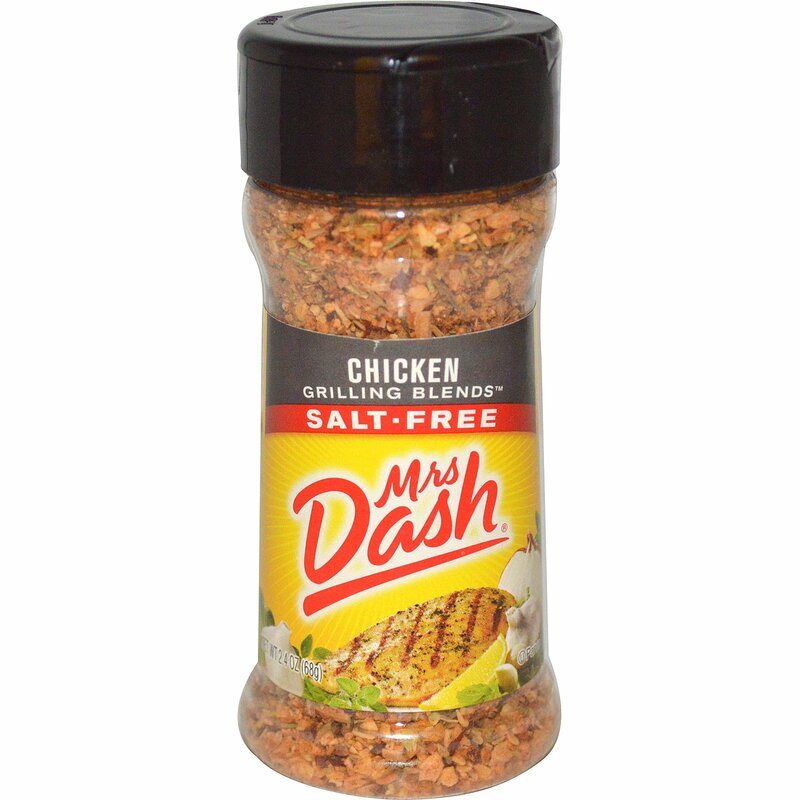 Dash Chicken Grilling Blends: All the flavor without the salt! A savory blend of herbs and spices that adds a burst of flavor. Create mouthwatering chicken, fish, pork, turkey and salads. Tip: Stir 1 ½ tsp. into ½ cup of your favorite oil, brushing meat before or during grilling or cooking. 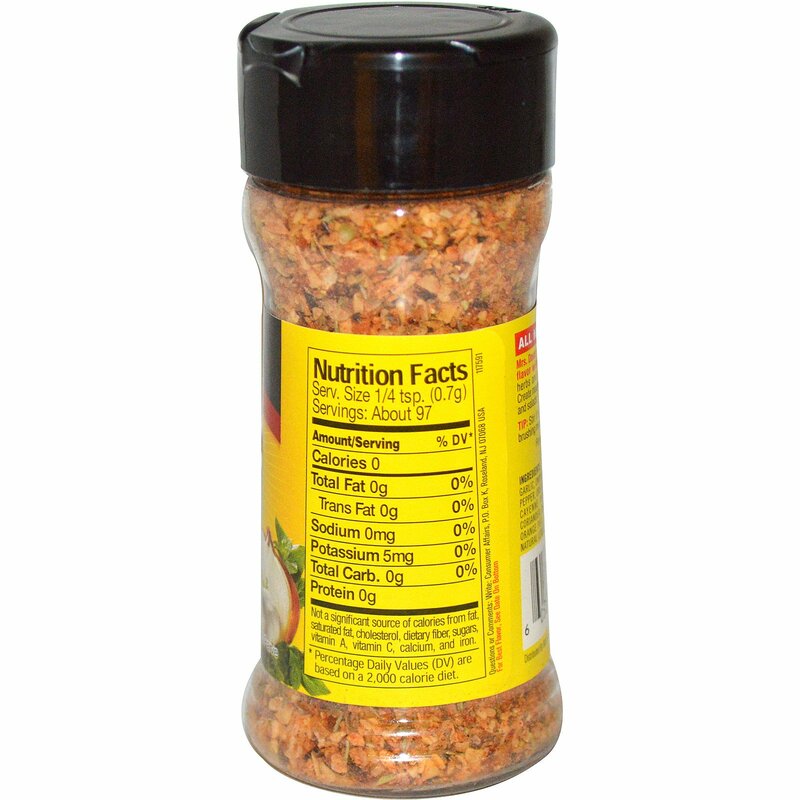 Garlic, onion, spices (black pepper, sweet chili pepper, oregano, rosemary, basil, sage, thyme, cayenne pepper, bay, marjoram, savory, coriander, cumin, mustard), carrots, paprika, orange peel, lemon juice solids, citric acid, natural lemon flavor.